I often think about how we can leverage what Good Sports does to have a bigger impact on the world. My vision is for the world to be a place where moving every day is a priority. I would love to see employers giving their employees the flexibility to move every day, schools doing that for kids, and hospitals doing that for patients. I think our world would change for the better if we didn’t view taking a walk or going for a run during work hours as a bad thing. Right now, we’re apologetic about those things. We’re trying to fund recess by piecing together other parts of the budget and employees are measured by the number of hours they work. If you take time away from your family or job to be active, it’s often considered negative or something you do for yourself. I think it’s something we should all be doing every day for ourselves, for each other, and for our planet. I had the pleasure of interviewing Melissa Harper, one of the founding members and CEO of Good Sports, a national nonprofit that gives all kids the lifelong benefits of sport and physical activity by providing new equipment, apparel and footwear to those most in need. As CEO, Ms. Harper spearheads Good Sports’ growth, organizational strategy and partnership development, and since the organization’s inception in 2003, has provided more than $43 million in equipment to 4,265 youth programs, impacting nearly 7 million kids nationwide. 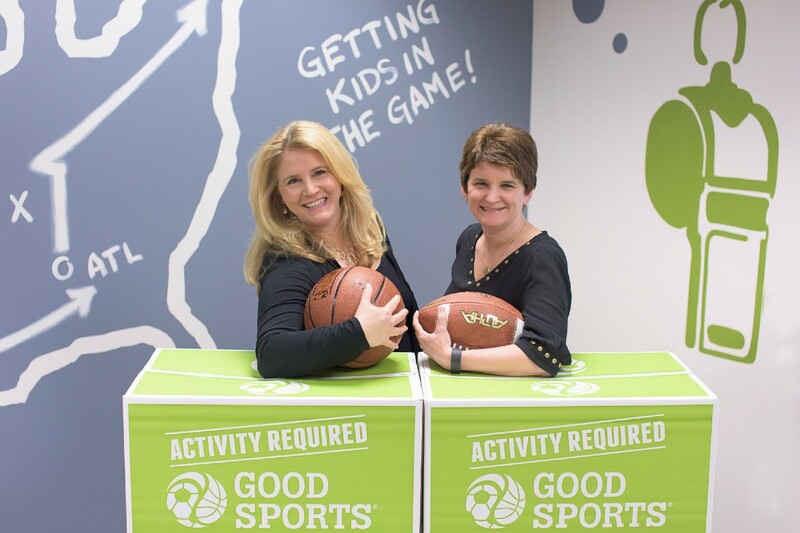 Under her leadership, Good Sports has developed successful partnerships with the country’s top sporting goods manufacturers including Nike, Adidas, Under Armour, Wilson, and New Balance, and corporate partners like Keurig Dr. Pepper, Empower Retirement, Dunkin’ Donuts and GEICO, as well as numerous professional sports franchises and athletes. Sports have played a huge role in my life. My dad put a baseball cap on my head when I was four years old and I’ve been playing sports ever since. The sports I played growing up shaped me, and the coaches and other players had an impact on who I am today. Playing sports taught me discipline and gave me support in many different ways. I know firsthand how much you can gain from playing sports and a lot of the strengths I have as a person and as a leader came from the sports I played as a kid. That’s a big reason why I’m so passionate about all kids having the opportunity to play. I can’t live with the concept that not all children have access to the benefits. When Good Sports first began, we had the opportunity to meet with Mayor Menino, the former Mayor of Boston. He immediately appreciated what we were trying to do and asked how he could help. To help us get started, he gave us a space on city land where we could put a storage pod which served as our first warehouse. While it worked really well as a warehouse in our early days, we made one major miscalculation…we had no snow plan. One time we got like three feet of snow and it completely blocked our pod so we couldn’t get any equipment in or out. So, we called in reinforcements and got our friends to help us dig it out. It’s so funny to think something as simple as snowfall can derail an operation. We learned that as an entrepreneur, you have to be both a visionary and an operator. Managing the strategy as well as the details is critical to getting a company off the ground. Can you describe how your organization is making a significant social impact? The primary goal of Good Sports is about giving all kids a chance to play and making sure cost is not a barrier to anyone’s participation in sports and fitness. Our social impact is illustrated by the incredible growth of our organization. We started in 2003 with 500 basketballs, which we drove two hours in a U-Haul to pick up, and donated to local youth programs in our home city of Boston, Mass. In 2018, we donated $15.3 million in new equipment, footwear and apparel to 1.6 million kids nationwide. So many more kids still need the benefits of sports and fitness activities. We’re not just putting a ball in a hand, sports also help kids make better decisions socially, get better health outcomes, avoid more risky behaviors, do better in school, and experience myriad other long-term emotional and physical benefits. Kids who play fundamentally do better. The numbers translate into real impact. Can you tell me a story about a particular individual who was impacted by this cause? Recently, we were contacted by police officer Sergeant Angelo Collazo about some serious need in the city of Bridgeport, Connecticut (only 60 miles away from Manhattan). Like so many other cities in our country today, public school budgets are being slashed and many sports programs have been eliminated and/or are facing serious cutbacks. Sergeant Collazo is on the front lines every day in a city where nearly 30% of kids live below the poverty line and gang related violence is a major problem. For a lot of kids in Bridgeport, sports are a safe haven. Losing sports can mean losing lives. Sergeant Collazo, alongside high school head football coach Eddie Santiago and his wife LaDonna Bigelow who coaches volleyball, were doing everything they could to bridge the budget gaps. 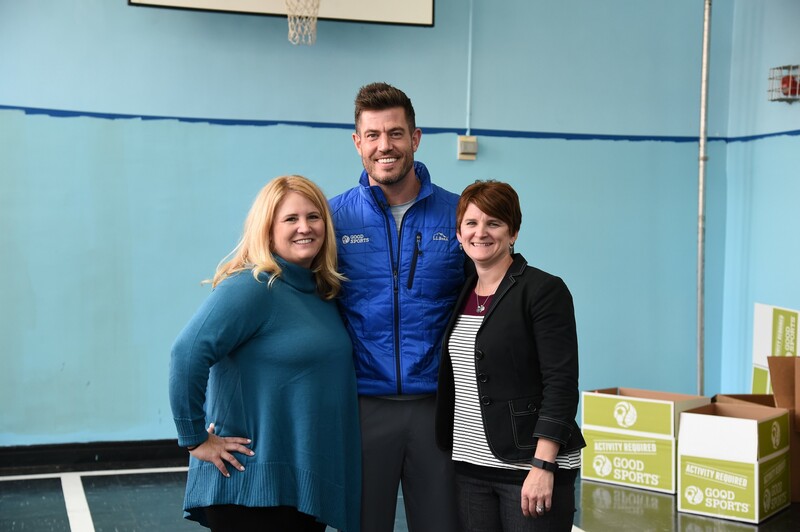 We knew immediately we wanted to help and so far, Good Sports has donated more than $160,000 worth of equipment, footwear and sports apparel into Bridgeport schools. For the first time, the students have what they need to feel like athletes — brand-new apparel, high-quality equipment, and more. While the equipment certainly does not solve all of their problems, their coaches say the biggest impact is in their outlook. Not only do they stand taller as players, but for the first time, many feel like things that seemed out of reach, like college, are attainable. This city is just one example of the issues that are unfolding in towns across America where rising costs are limiting access to sports. And underserved communities and children are hit hardest. This is why we do what we do. Are there three things the community/society/politicians can do help you address the root of the problem you are trying to solve? We often grossly underestimate how important play and physical activity are for the child. If we want to combat some of the societal issues we are currently facing, we need to first get kids engaged in their communities. The role of play is incredibly important to the development of a child as a good citizen and good person. We need to keep play alive and we can do this, in part, by keeping physical education in schools, protecting funding for city parks & recreation departments, and making sure after school youth sports programs continue to exist. In short, play needs to be prioritized in every community. We can’t discard or decrease access to play for budget reasons. To me, leadership is about being the base that lifts the rest of the team up. If we think about leadership in terms of sports teams, the captain is not necessarily the best player, but he or she always has the best interests of the team in mind. And the captain is always trying to bring the whole team to a better place. I think that’s what leadership is all about. Being a leader isn’t necessarily about being in charge, it’s thinking about what I can be doing to make the whole team better, stronger, faster. As the CEO of Good Sports, I help our team operate strategically, think creatively about new ways to do things, find resources and provide support every step of the way so the team feels like the next idea is possible and achievable. What are your “3 things I wish someone told me when I first started” and why. Please share a story or example for each. 1.) I wish someone had warned me how hard it was going to be (although it might be better that no one did). In the beginning, I was very idealistic, and it all seemed so exciting. But there have been moments in our past that were brutal, days when we questioned whether we could actually make it happen and achieve our vision. When we started, I didn’t know those were coming. At this point, as an entrepreneur and someone who has been building an organization for 15 years, I realize how important it is to have broad perspective. Sometimes it’s going to feel like you’re going uphill, it will be hard, but you need to push through, be strategic, take risks, and make good decisions to get over the mountains. Example: When the recession hit, giving to Good Sports went down dramatically. We had to make really hard decisions on how to spend resources. Do we serve less kids or lay off staff or personally sacrifice? We never anticipated having to make those kinds of decisions when we began. 2.) Building a company is similar to building a team in some ways. When you’re on a team, sometimes you can feel the momentum. After a brutal first half you come back on the field and the tide changes. Now your team is winning. It’s the same in business. There are times when it feels like you can’t get anything to convert and you feel stuck. Then a few key opportunities come in and all of a sudden you feel like you can’t lose, like every conversation is going to have a successful outcome. It’s so important to build on that momentum and capitalize when you feel it. When you have that momentum, you’re presenting yourself in a stronger way and it’s time to be more aggressive. Example: In 2017, we received the biggest equipment donation in our history. It was a gamechanger. Suddenly, we were working with volumes five times bigger than we ever had in the past and we rose to the occasion. We had a super successful year, and, in the process, we shed any uncertainty in the industry that we weren’t up to the challenge. As a result, we’ve had great momentum for the last 18 months and we’re working to build on that. 3.) 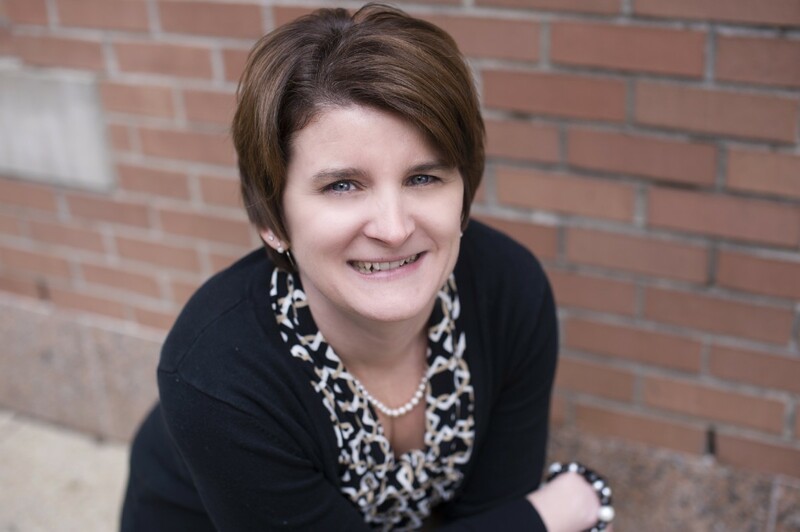 Don’t underestimate the role early adopters play in the growth of your organization. Example: When we first spoke to Spalding in 2003, we had no track record and nothing but an idea. They gave us 500 basketballs based on a concept. At the same time, we didn’t have a warehouse and didn’t yet know how to manage logistics. The mayor of Boston gave us access on city land for a pod. People were willing to take a chance and give us a little bit of support. At the time it didn’t feel like a big deal but looking back it was our first infrastructure. They helped make us legitimate. Now, I have such appreciation for the people who didn’t dismiss us but were willing to support us. You are a person of enormous influence. If you could inspire a movement that would bring the most amount of good to the most amount of people, what would that be? You never know what your idea can trigger. I often think about how we can leverage what Good Sports does to have a bigger impact on the world. My vision is for the world to be a place where moving every day is a priority. I would love to see employers giving their employees the flexibility to move every day, schools doing that for kids, and hospitals doing that for patients. I think our world would change for the better if we didn’t view taking a walk or going for a run during work hours as a bad thing. Right now, we’re apologetic about those things. We’re trying to fund recess by piecing together other parts of the budget and employees are measured by the number of hours they work. If you take time away from your family or job to be active, it’s often considered negative or something you do for yourself. I think it’s something we should all be doing every day for ourselves, for each other, and for our planet. My mantra is “Play to win”. I fundamentally believe you have to enter into everything you do, whether it’s your job, school or even dinner with family, with your full commitment and your full effort. It’s a growth mindset, a winning mindset. If I give my very best, I can win. The winning doesn’t actually matter, it’s the internal philosophy that you show up to try to win every single time. And when you don’t win, you learn. But you never show up halfway. This mantra is relevant to my life on a daily basis. It makes me really thoughtful about how I spend my time, who I spend it with, and what I spend it doing. I try to make sure everything I’m committed to on a day to day basis is something I’m willing and able to put my full effort in to. If not, then I ask, should I be there? It’s become a filter for me. If I can’t give my all, I shouldn’t be at the table. Is there a person in the world, or in the US whom you would love to have a private breakfast or lunch with, and why? He or she might just see this, especially if we tag them. Serena Williams. She is someone at the top of her game who has achieved great success in athletics but is also shaping her life around her sport in a powerful way. What she has accomplished in her sport is unbelievable, but she has also built amazing business opportunities for herself and became a mom at the same time. Now, she is navigating that difficult balance of being a working mom and the demands of her sport. I think it would be so interesting to talk to someone like her who has to operate at such a high level and balance all those things. She would be fascinating to learn from, and I would love to hear about her experiences.